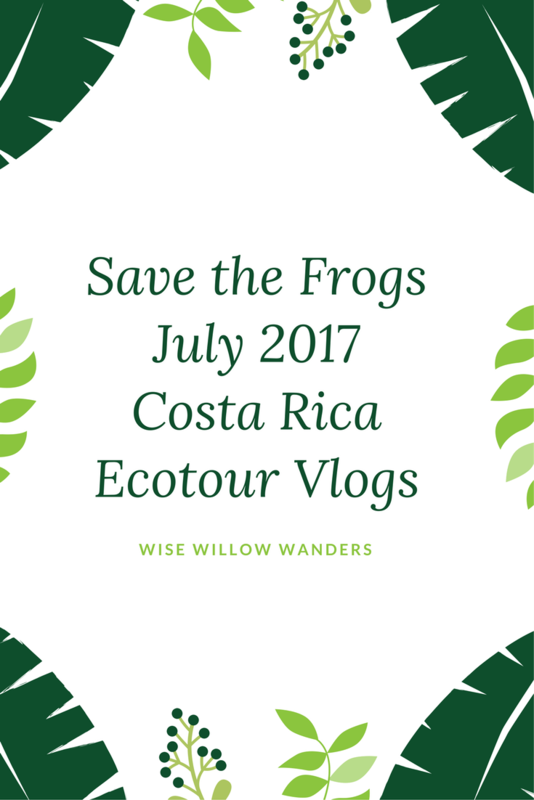 In July I went on the Save the Frogs Costa Rica EcoTour after my time in Chile, and it was one of the best experiences that I’ve ever had! This entire summer has been filled with wonderful experiences, and I wanted to be able to share moments from them with you. I took footage on a number of our excursions, and will be editing them and uploading vlogs every Saturday about my travels and other aspects of my life. I have had so much fun exploring the creative opportunities of video through my YouTube channel, and it has added so much to my blogging journey! Below is the first vlog that I edited, with footage from our first full day in Tortuguero. It was one of those days that I know I will remember for the rest of my life. Not included in the vlog footage is watching a mother sea turtle lay her eggs and return to the tides under red light (the only light that does not significantly harm the turtles). This was one of the moments in which I wanted to be completely present with the wonders of the world, and I am so grateful that I had the opportunity to be fully emerged in something that few people get to experience. If you are interested in learning more about the dangers that sea turtles are facing in our world today, you can visit the Sea Turtle Conservancy website. It is a wonderful organization protecting animals that have graced the earth with their beautiful presence. The second vlog is from our boat tour through the jungle, looking at the wide variety of species that live in close proximity to one another and that inhabit the small section of jungle that we went through (there were many more species than I thought possible!). This was another experience in which I felt as though it couldn’t be real–exploring the jungle via boat and being surrounded by natural beauty in all forms. I hope you enjoy these vlogs as much as I enjoyed filming them! I am so excited to share these moments with you, and hope that you can experience some of the same magic. If you are interested in going on an EcoTour with Save the Frogs (which I highly recommend! ), you can learn more about the trip options here!